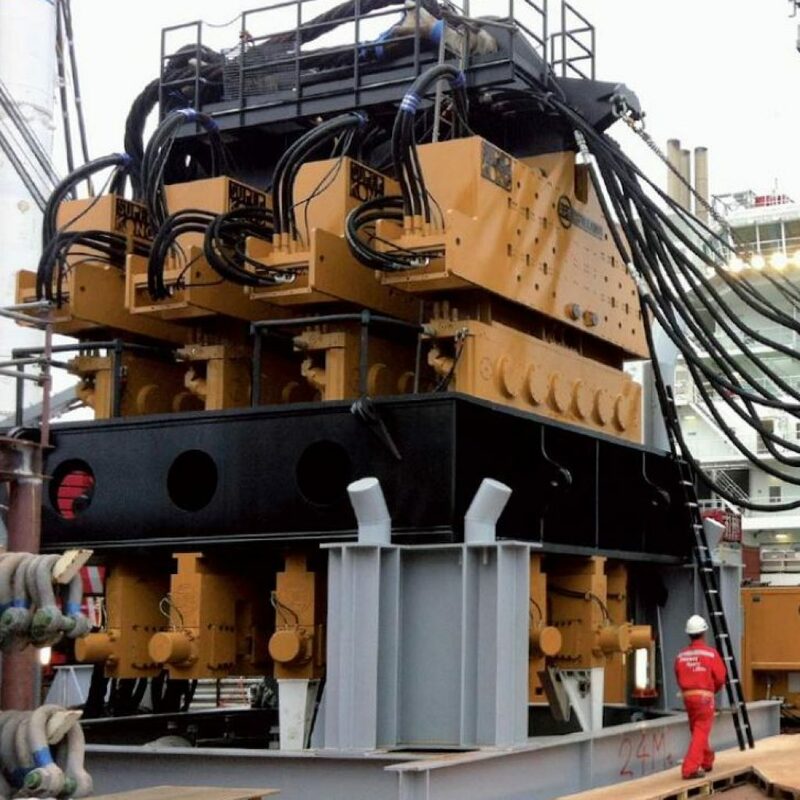 All can be performed onshore as well as offshore. Foundation piles have been installed well since… well, Always! 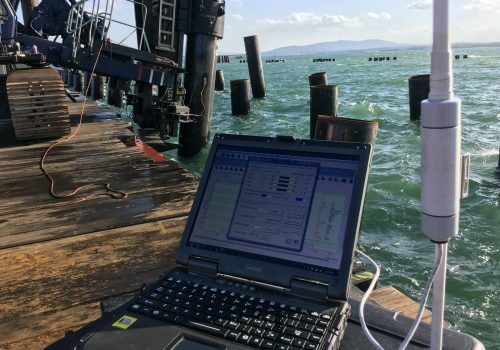 That implies Quality Assurance requires measuring during driving PDM or PDA (Pile Driving Monitoring or Pile Driving Analysis) to check the installation process e.g. 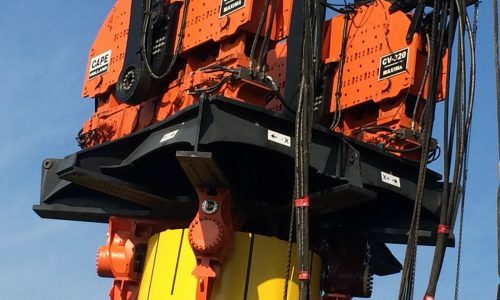 pile stresses, blow counts and hammer performance. 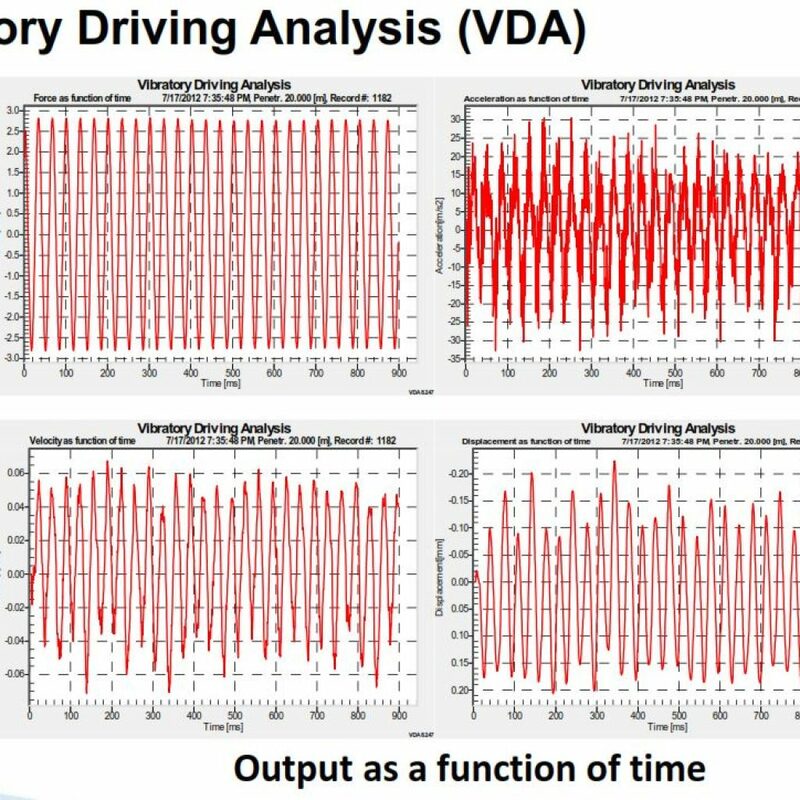 Both for impact hammers as vibratory hammers (VDM, Vibratory Driving Monitoring VDA Vibratory Driving Analysis). After driving, the bearing capacity will increase in time (set-up). 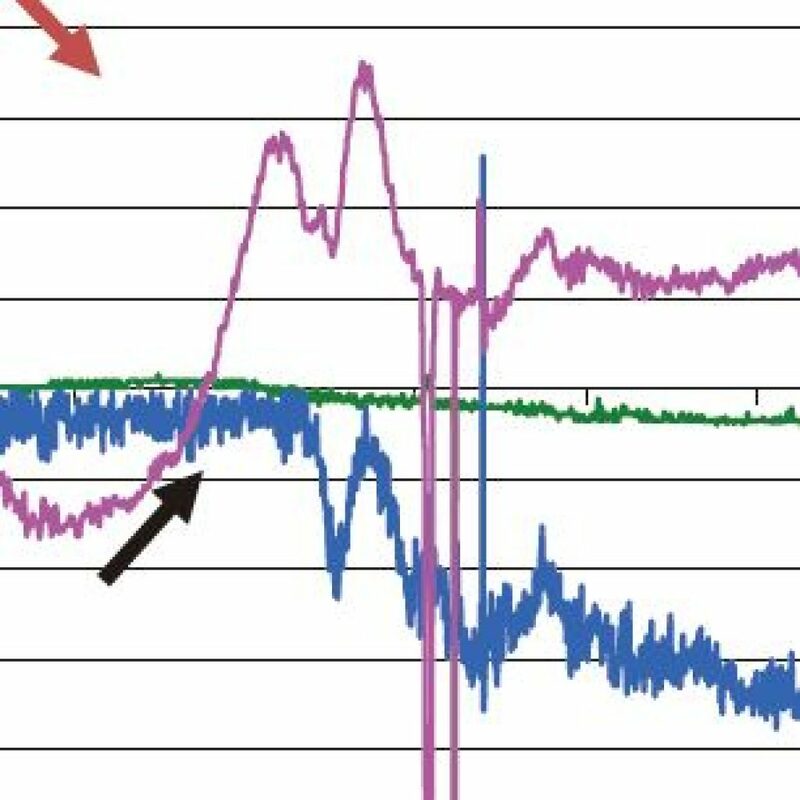 By measuring during a redrive, the static pile/soil behaviour and accordingly its static bearing capacity can be obtained by AllWave-DLT Signal Matching (DLT Dynamic Load Testing). 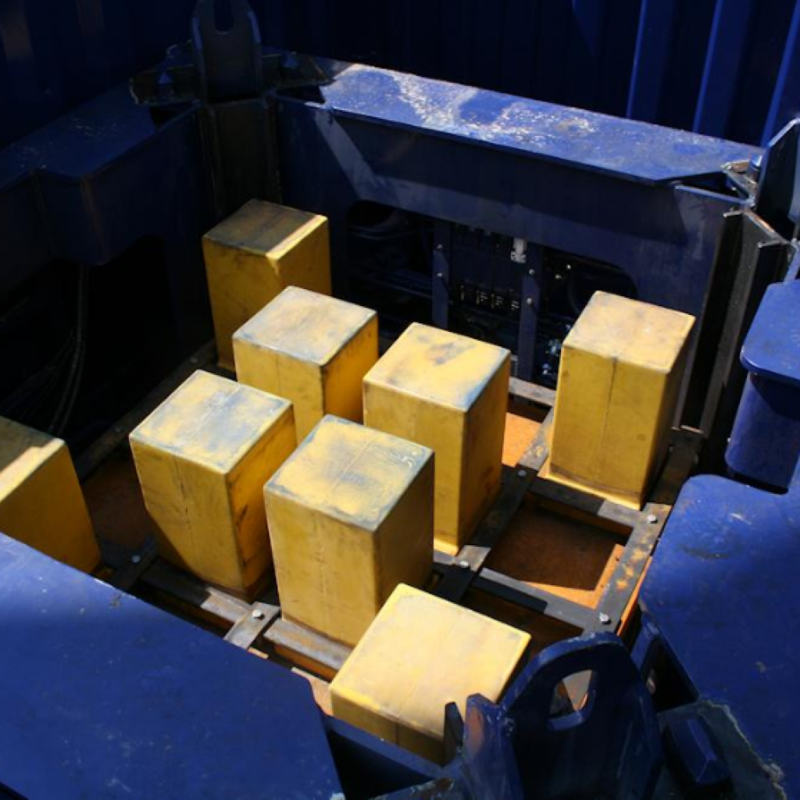 When piles are installed by means of a vibratory hammer, instead of an impact hammer, comparable measurements like with a PDM can be performed. 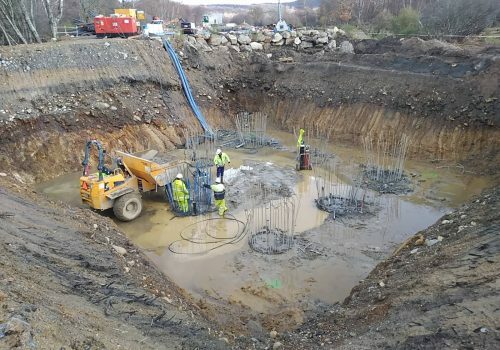 During Vibratory Driving Monitoring all information during installation are monitored, including performance and behaviour of pile, soil and vibratory hammer. 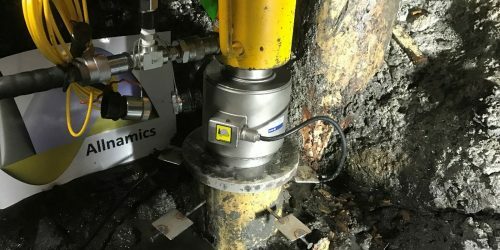 Monitoring of pile stresses in relation to fatigue of the pile material, penetration speed, hammer frequency and efficiency, and more, are part of a total quality control for piles installed with a vibratory hammer. 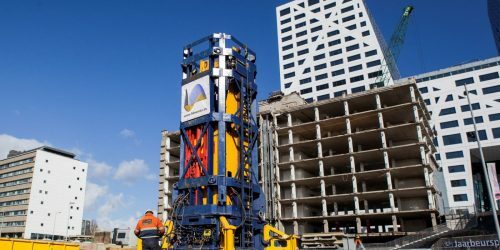 For foundations piles and large diameter monopiles. Onshore and offshore. Being the basis of all test, Allnamics performs static tests, both in compression and tension. Vertical, horizonal or under any slope. 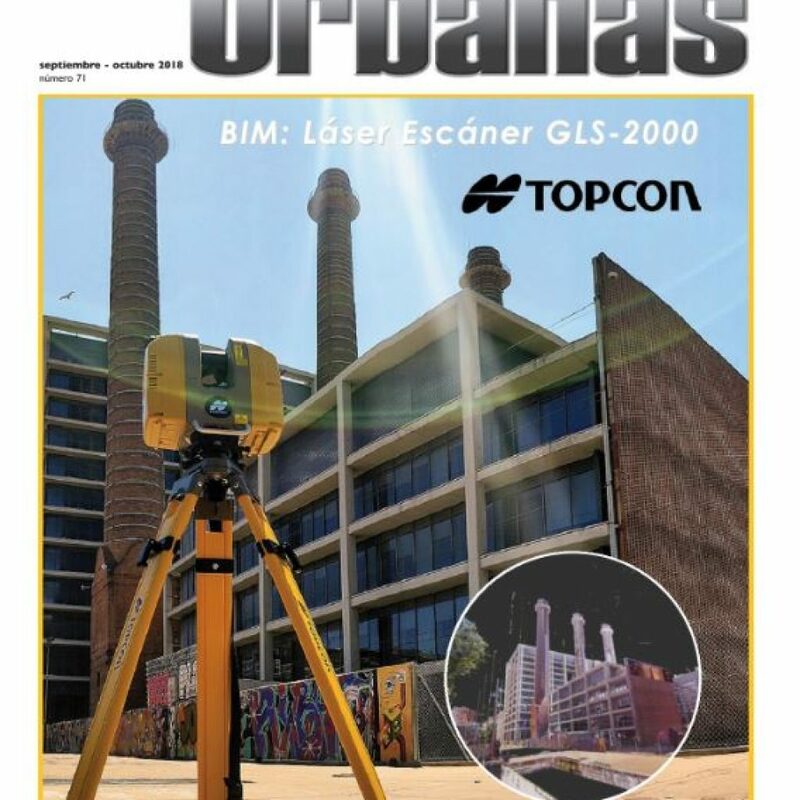 With the equipment dedicated and designed for this type of test (see Allnamics Quad), high quality readings of load and settlements can be obtained. 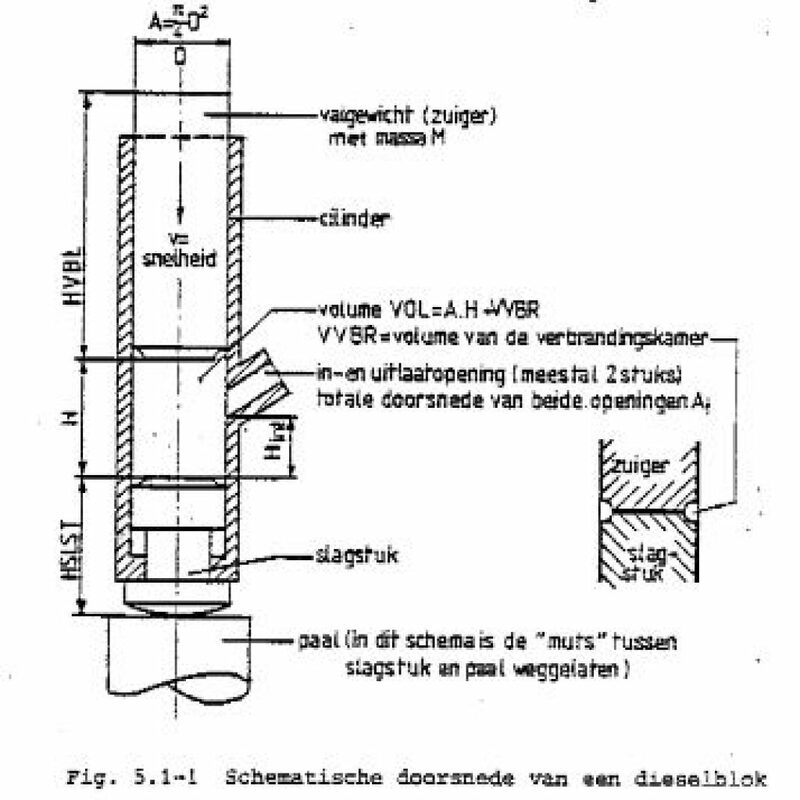 After development started somewhere mid sixties, it was in the seventies and eighties of last century, that the Dynamic Load Test has been developed as a mature testing method. 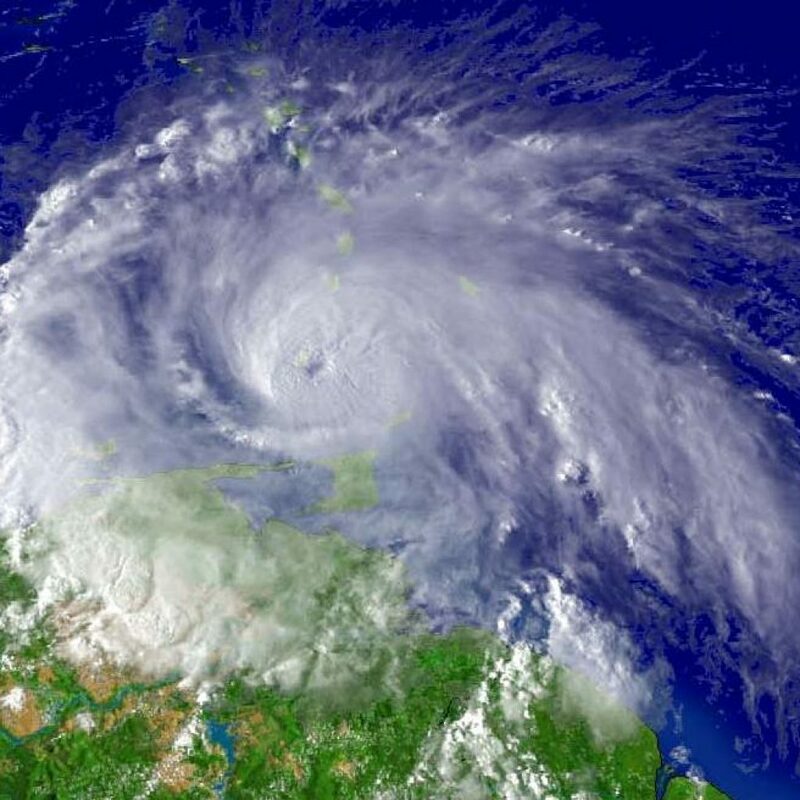 At that time offshore constructions were built for exploring oil at locations with, until then, unknown soil conditions. 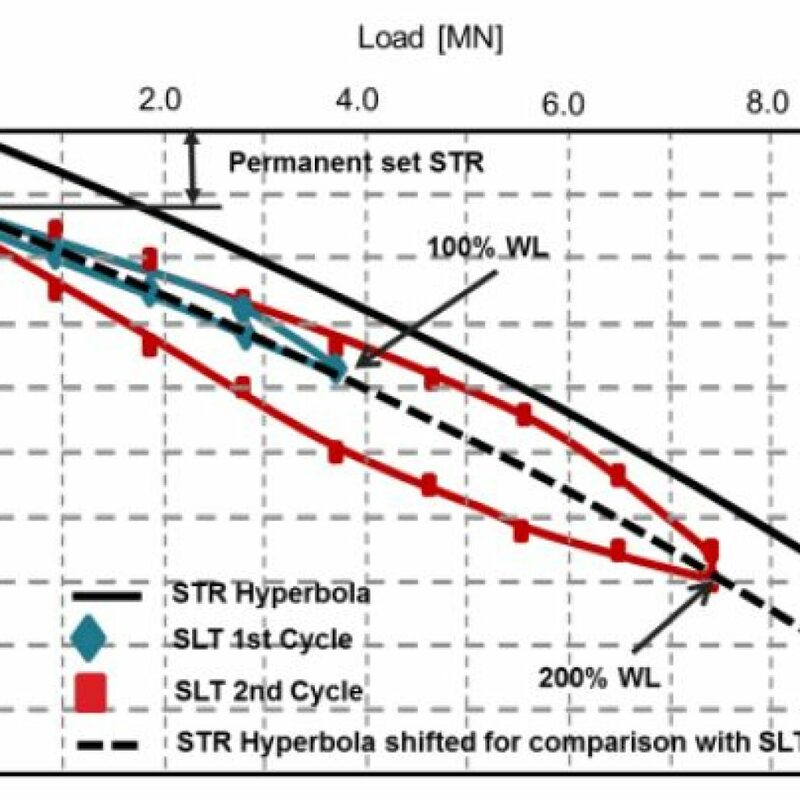 As an alternative for the Static Load Test, the Dynamic equivalent has positioned itself in the row of pile testing methods. 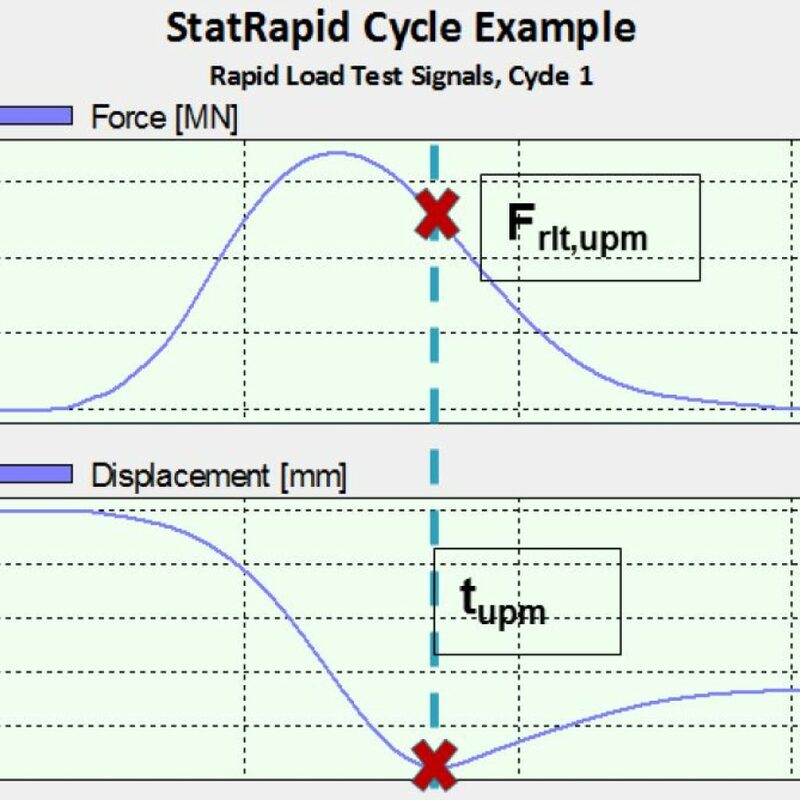 The mean reason to perform Dynamic Load Test is to obtain information about the pile behaviour during (static) loading. The Dynamic equivalent is much faster and less time consuming than Static Testing. For other piles, other methods are more suitable. 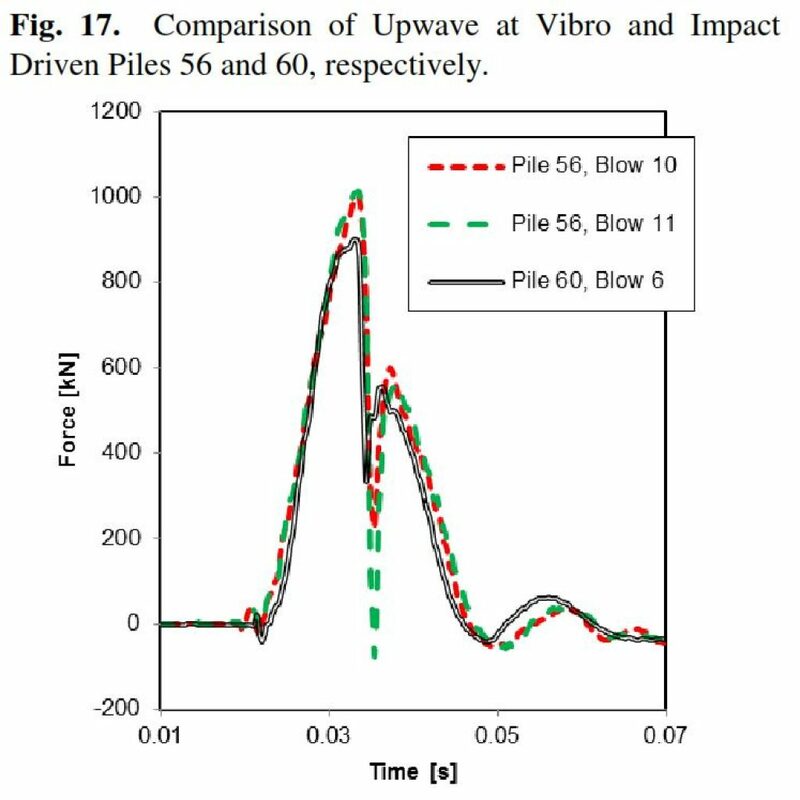 For instance, applying DLT to cast in situ concrete piles, bored piles or CFA’s, the high impact loads leads to (too) high impact stresses with possible damage to the pile. Reduction of the impact load to limit the stresses to the concrete strength, leads for this type of piles to a low mobilised bearing capacity. 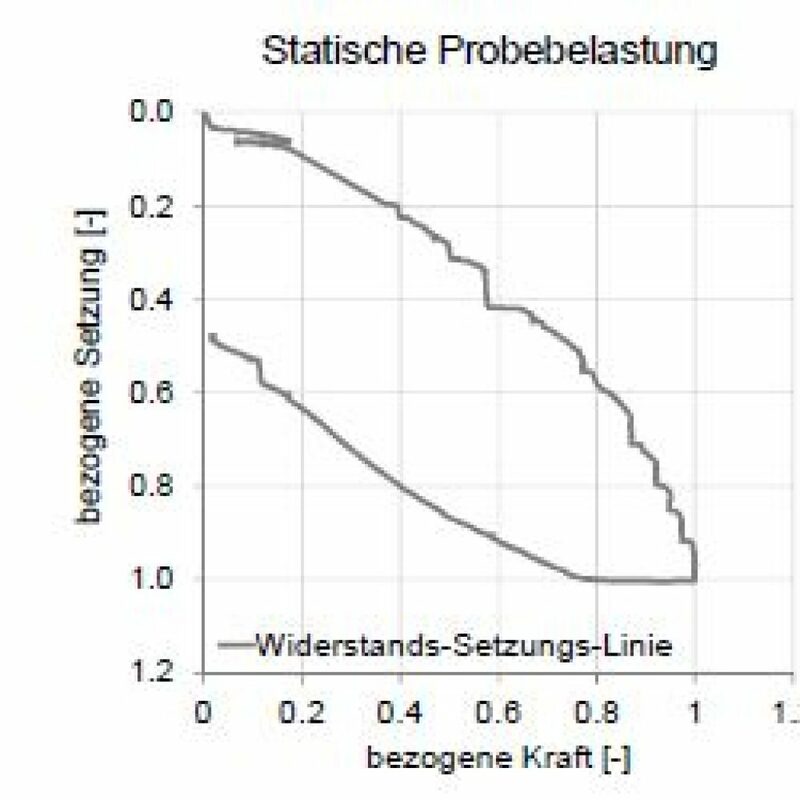 Furthermore uncertainty in cross-section and concrete quality results in reduced accuracy of the analysis. 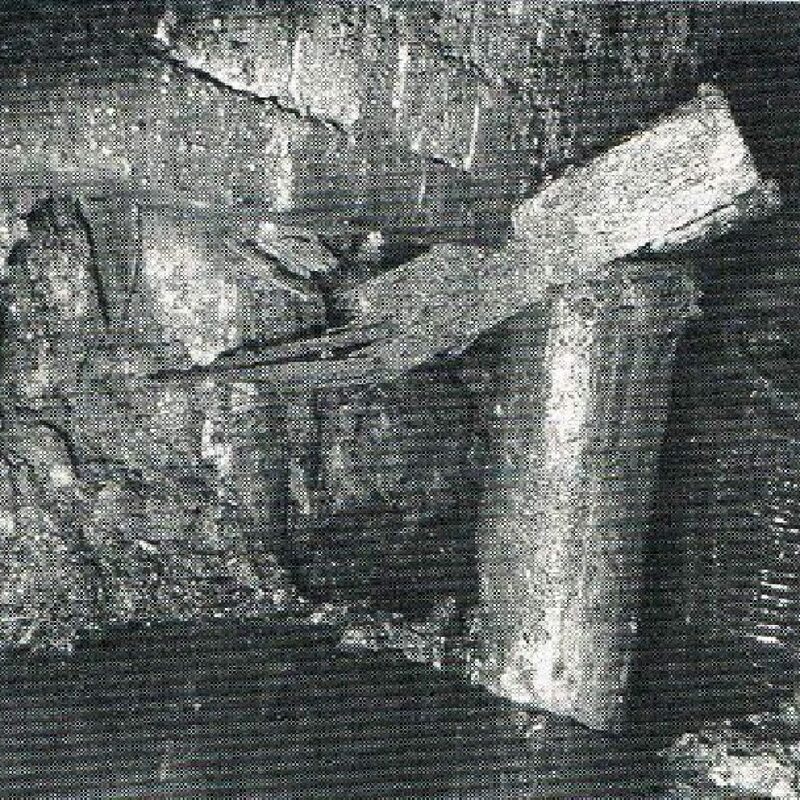 These types of piles are preferably tested by Rapid Load Testing, StatNamic or StatRapid, for which which the maximum stresses during the test are significant lower. Allnamics can choose to perform Rapid Load Tests with two different types of testing. For test loads up to 16 MN, StatRapid will be often used. For higher loads the Statnamic test method is available. With this test method loads up to 65 MN, and, in the near future, up top 150 MN, are possible. 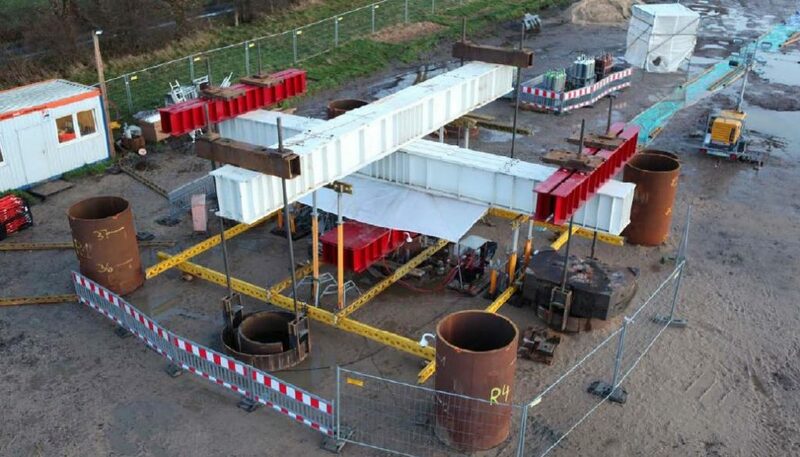 The Bi-directional test is an alternative for the Static Load Test for bored concrete piles. 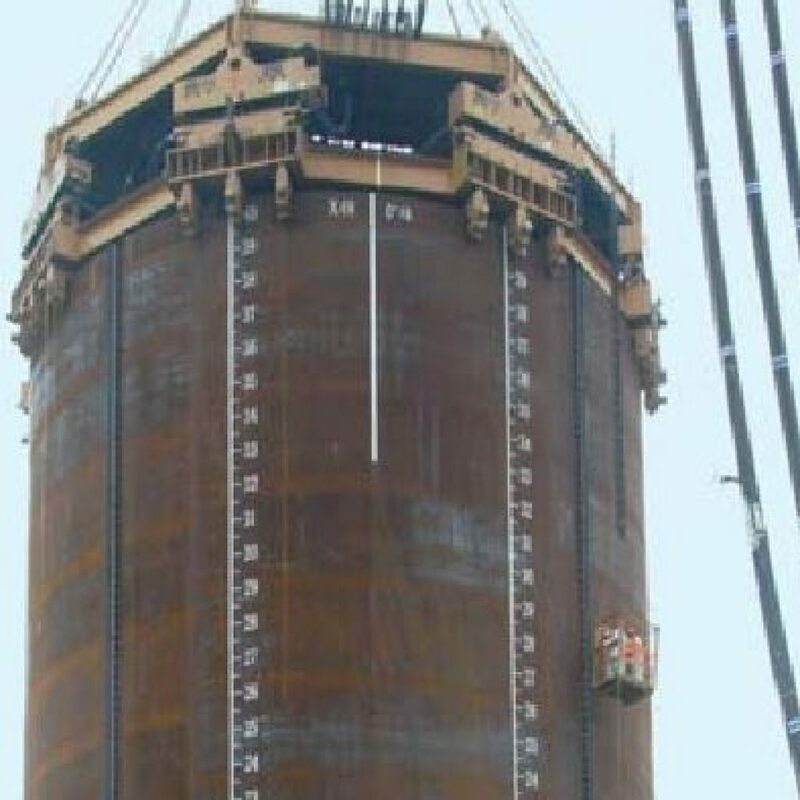 Characteristic of this type of pile testing is that the load is applied somewhere halfway in the pile, instead of at the top of the pile. By casting a device, the cell, into the concrete, somewhere halfway or near the pile toe, force and settlements at this level can be measured. The upperpart is pushed upward, being the counter force for the downward test load on the lower part. 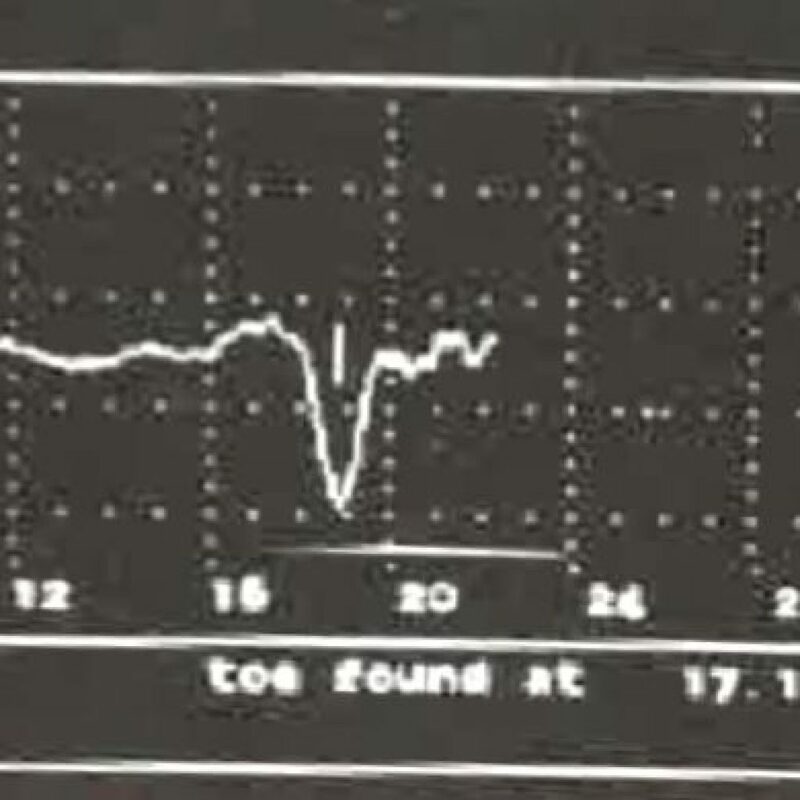 After the test, the measured results are used to construct the load-settlement graph comparable to that of a Static Load Test. 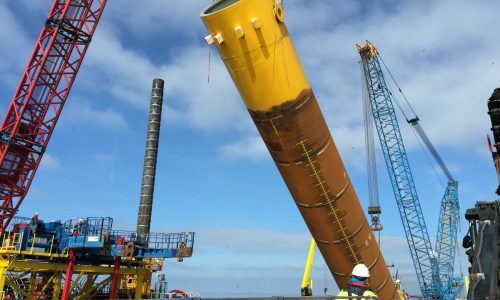 The Bi-directional test will be applied for piles with higher capacities, with significant shaft friction to mobilise enough counter force to mobilise the shaft and toe resistance of the lower part. 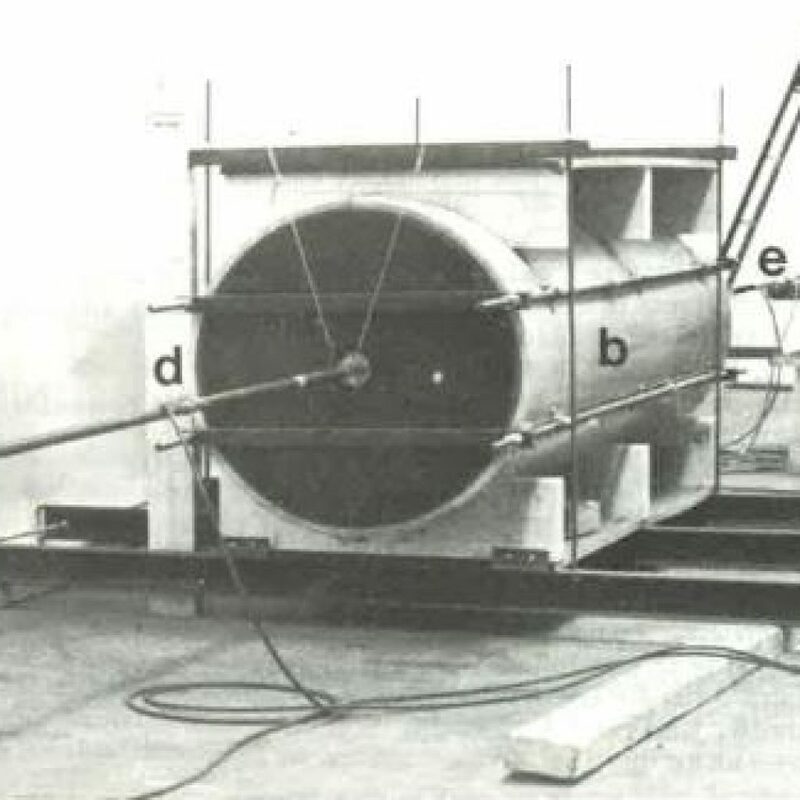 The Sonic Integrity Test has been developed by the engineers of Allnamics, in the seventies of last century. The test determines imperfections in concrete piles: Cracks, changes in cross sectional area, soil inclusions, voids and other imperfections. The Pile Integrity Test or Sonic Integrity Test is the first, fast and rough, check on the quality of cast in situ piles. Sonic Logging is performed by lowering sensors in cast in tubes. 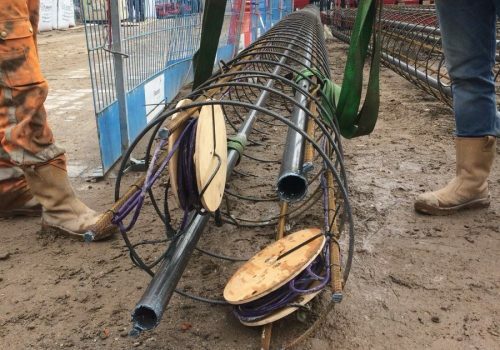 By sending a sonic signal through the concrete by the transmitter to the receiver, information about possible defects and concrete area over the cross sectional area will be obtained. 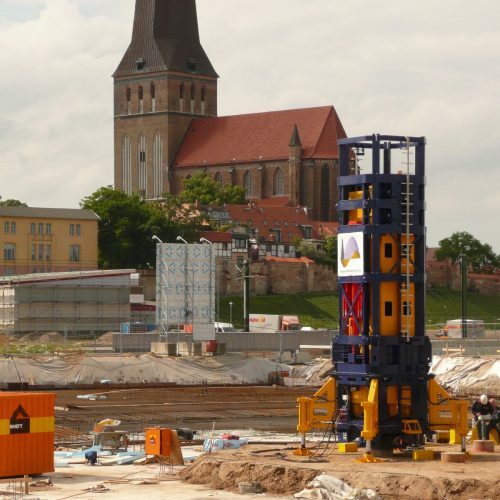 Sonic Logging is mainly used for bored piles with large diameters and diaphragm walls. Autor(s): Verbeek G.;Middendorp P.; van Dorp R.; Tara D. Year: 2013 Language: English Where: Presentation SuperPile 2013, Minneapolis, MN INTRODUCTION: Presentation held at the SuperPile 2013 conference in Minneapolis, MN DOWNLOAD: You can download the entire article here, after entering your name and e-mail address. .
Auteur(s): Reiding, F.J., Middendorp, P., P.J. 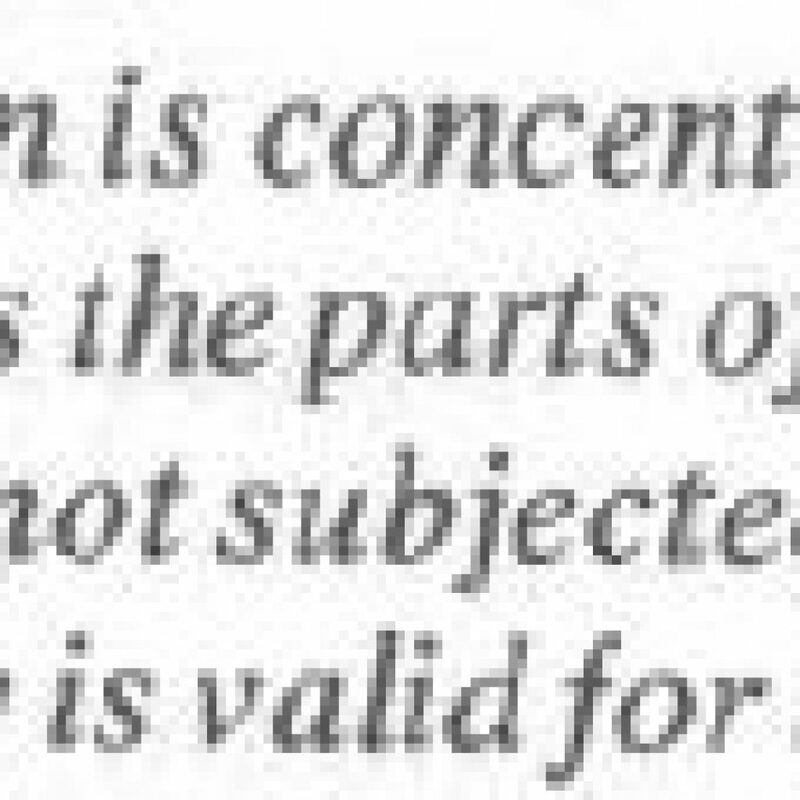 van Brederode Year: 1984 Language: English Where: 2nd International Conference on Stress Waves, The Hague, Netherlands Proceedings INTRODUCTION: Paper regarding digitizing of SIT measurements. DOWNLOAD: You can download the entire article here, after entering your name and e-mail address .